In practice for more than 15 years, Paul is an experienced and effective personal injury lawyer who has acted for both injured Plaintiffs and Defendant insurers. Paul has a determination to achieve the best result for his clients as quickly as possible. He is a clear and concise communicator and from his broad experience on both sides of the fence is able to develop the best strategy for the earliest resolution of each case. Paul acts in all areas of personal injury matters and has helped many clients over the years pursue their claims in and out of court and looks forward to helping you with your claim. He has been involved in several Court of Appeal matters that have impacted the law in relation to granting of Serious Injury Certificates in Victoria. Paul is the Special Counsel of the Melbourne office. 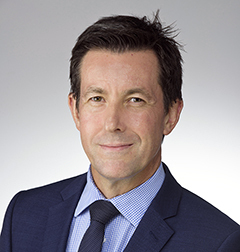 Paul commenced at Carroll & O’Dea Lawyers in 2017 and was admitted as a solicitor in the Supreme Court of Victoria in 1998. In 1997 he completed a Bachelor of Law at Monash University Melbourne and a Master of Law in 1998. Paul is currently a Member of the Law Society of NSW and the Law Institute of Victoria. He has also written articles for the Young Lawyers Journal in Victoria. Paul has assisted hundreds of distressed clients whose lawyers had let them down following the intervention of the LSC. Thank you to you and your wonderful team, I also note the extra work you did to get this over the line, you have gone above and beyond. We really appreciate all your professional hard work that you and your team have done over the years, this has been a wonderful credit to you and your team.